iOS’s action menu allows you to perform a number of functions when you highlight a text, which includes checking the definition of the selected word using its built-in dictionary. But what if you don’t want to check its meaning and want to perform a quick Google or Wikipedia search on it? Well if that’s something you have been looking for then just go to Cydia and install the PopSearch add-on for Action Menu tweak. 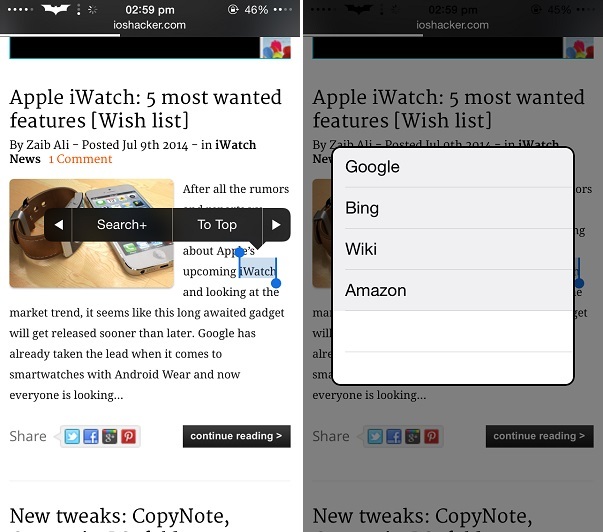 This tweak will let you search for any text you select from a variety of sources. PopSearch includes Google search, Bing, Wikipedia and Amazon. 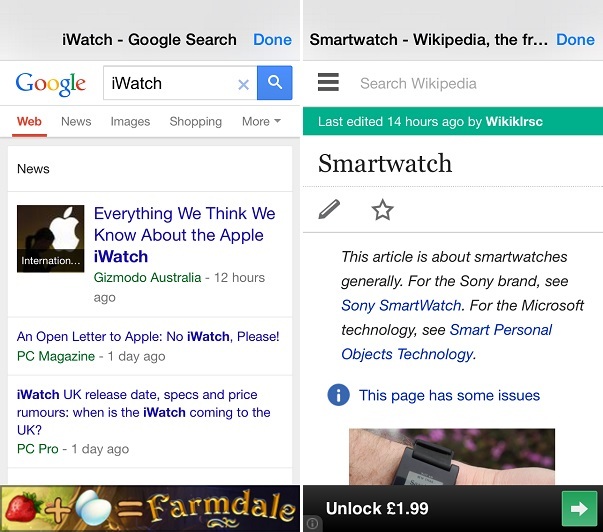 To perform a quick search all you have to do is select the the text and from the menu tap on the ‘Search+’ button. This will reveal a menu with all available search websites. Simply tap on the one you want to get results from. The tweak will open a pop up page right where you are without pulling you out of the app you are currently using. Once you have completed your search simply tap on the ‘Done’ button and continue using the app you were using in the first place. On the search page you can also type in any other queries before hitting the done button and continue searching. PopSearch is a very useful tweak that adds a lot of convenience for users. You can download PopSearch from Cydia for free. It works perfectly on all available versions of iOS 7.